Overcoming Challenges with Telemarketing Services in 2018! Here at Quality Contact Solutions we partner with clients everyday who are looking for ways to help them overcome their business challenges. They turn to Telemarketing Services because they need a more productive channel than they are currently using. In some cases, they have aggressive growth goals and have heard what we can do. Some clients want to test a new strategy. Whatever the specific challenge is, at its root, is the necessity to retain and grow the business year over year. This was the biggest challenge of 2017 and with no doubt that focus will be continued in 2018. The list of challenges that were brought to Quality Contact Solutions from our clients to help overcome this year was long however when you break it down to the root problem it comes down to growth. Every company, big or small needs growth. The million-dollar questions include: how do we get there, what can we do and who can help us? This is where our Telemarketing services comes into play. Remember that while this goal may present itself as something else like answering more calls, getting more renewals, increasing new acquisition sales, leads generated, appointments set, all of these are just a means to the end and that end is Growth!! 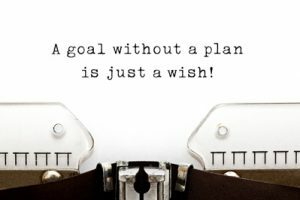 After identifying that “Growth Goals” are at the top of the list for our clients, here at QCS, we like to break down the goal into sub-challenges and sub-goals. And it is critical to build a road map to achieve the sub-goals as well. The first sub-challenge of growing your business is to retain your current customers or members and ensure they remain loyal to your brand. Losing this group of customers make it even more difficult to achieve your company’s growth goals so it’s worthwhile to ensure you have a solid contact strategy to renew existing customers and members before you lose them. Make sure you prioritize outbound telemarketing contacts to your long-term customers. Create a telemarketing services strategy that allows for outbound touch-points for those customers. While generating an additional sale or upsell may be the focus during these calls, it doesn’t always have to be the primary focus. You can make the call as simple as a CSAT Survey or a demographic and contact update approach. This is non-invasive and often times can generate conversation that brings in new sales opportunities without being obvious. In addition to an outbound approach, make sure that you have an inbound method build into your telemarketing services strategy. Calling out is great, however some customers and members just want to call themselves. Having a channel filled with professional agents who can support this base is critical to keeping them happy and coming back year after year. Lastly, have a method to tracking your customer retention. This is important and one metric that you will always find us helping our clients track. Ok, you have an effective telemarketing services strategy for your existing book of business. Now it’s time to focus your attention on “new acquisition”. Besides growth from existing customers/members, this is where the magic happens. This is where you start to chip away at the market share and find those diamonds that put you over your growth numbers for the year. That being said, you can’t simply buy a list and make some calls. Your telemarketing strategy needs to be smart. It needs to encompass, lead targeting, dialing times for increased contacts, proper messaging, discount strategy and agent training. Here at Quality Contact Solutions we work with many clients to address these topics and create a successful telemarketing services strategy that drives successful new acquisition and helps them hit their goals.